This semester I have the pleasure of supervising, PerSecond a Master student from The Master programme on ICT and Learning (MIL). 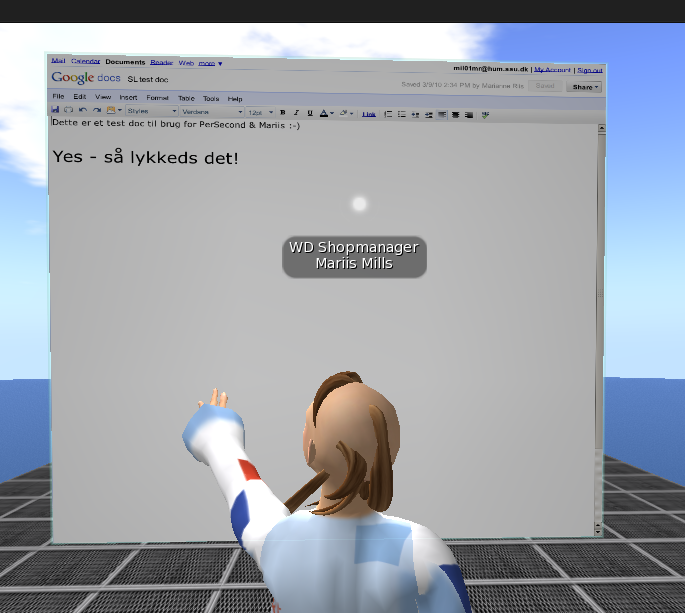 In his Master thesis PerSecond will investigate the possibility of using SL as platform in a Danish-Chinese PBL collaboration he and his colleagues at VIA University College are involved in. 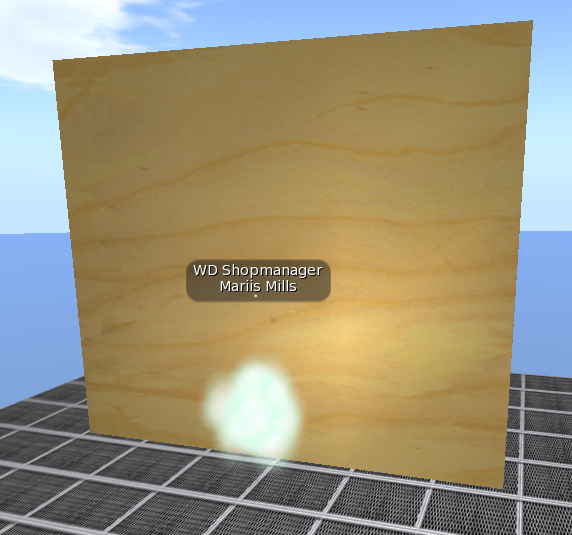 PerSecond and I are meeting in-world for our sessions and today I went in to set up for a test of the new Shared Media feature in SLV2. For unclear reasons* SLV2 really runs slowly on my machine, so for a while there I had to work as a cloud – and let me tell you; that’s a bit distracting!